Rosa Parks grew up in Alabama. She grew up in fear of the Ku Klux Klan. 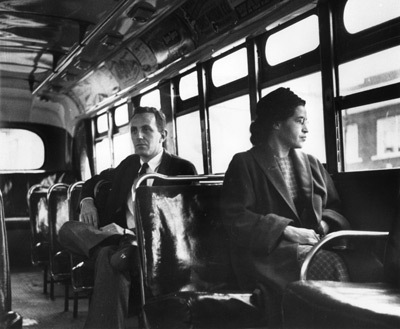 Rosa Parks was angry that African-Americans did not have equal civil rights with other people. The law said that African-Americans had to give their bus seats to any white persons. One day Rosa Parks refused to obey that law. She was arrested and told to pay a fine. 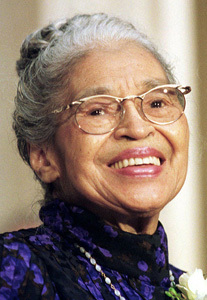 Rosa Parks appealed the decision to the Supreme Court. The Supreme Court said segregation laws on buses were unconstitutional. The Supreme Court agreed that Rosa Parks should not give up her bus seat. 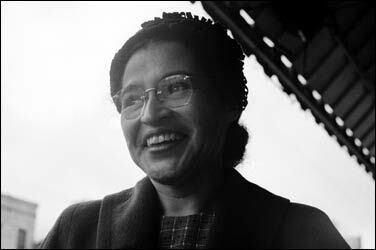 Rosa Parks was awarded the Congressional Gold Medal. Page created June 27, 2003. Anne Pemberton. Updated Wed, Apr 4, 2012. AP.